Solo was our pride and joy! Not only was he handsome and smart, he was also our favorite “bed buddy” as he truly was the best snuggler around! Solo’s show career started in the Junior Showmanship ring with Nate. They did wonderfully together showing in both Juniors and Regular classes as soon as Solo turned 6 mos old. After a few years, they took a break while Solo and Nate matured together. 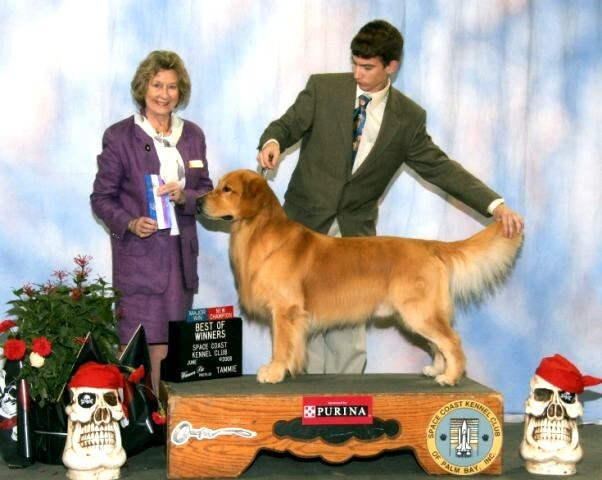 In early 2008 we decided to start showing Solo seriously and he obtained his AKC Championship quickly with a Specialty Major Win and a Best of Breed over Specials along the way! The most precious part about Solo’s journey was the fact that Nate handled him from first to last point and did a wonderful job! 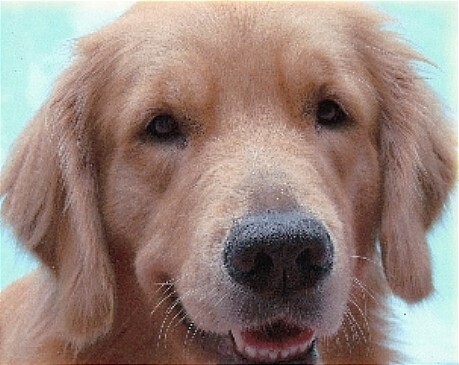 Boca is the foundation of Boca Gold Golden Retrievers. She was acquired in 2000 with the intention of doing field work, which we did. Much to our disappointment, Boca decided that dead ducks were gross and she wanted nothing to do with hunting! Around the same time, Nate expressed interest in showing Boca in the conformation ring. He started showing her in Juniors and did so until we realized that Boca’s favorite place was our swimming pool at the house and her favorite past time was raising babies. We bred Boca to Wager (Am./Can. CH. Shilo’s Starrstruck Best Bet SDHF, OS) and we were a little disappointed to have a litter of one. However, some things are just meant to be and our little singleton became our first Breeder/Owner/Handler AKC Champion ~ “Solo” (read more about Solo on his page). We would like to thank John & Rosa Blair of Jazzie’s Goldens for allowing us to have Boca be such an important part of our lives. Without her, none of this would be possible!